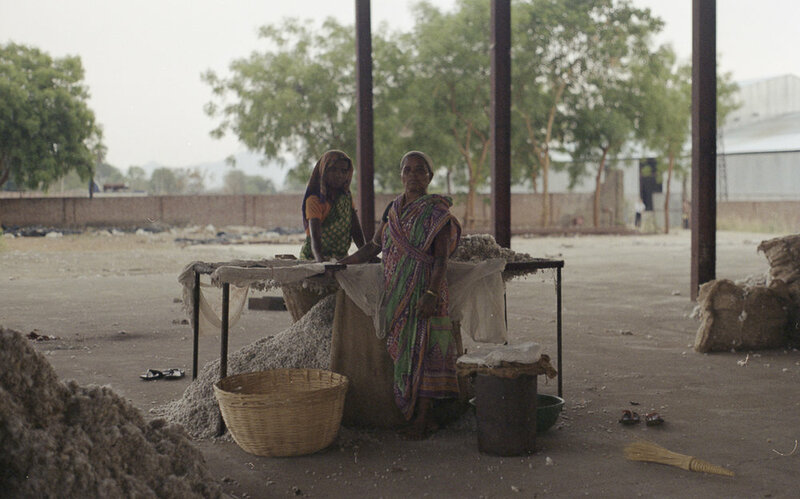 Once the cotton has been harvested, it is taken to a nearby ginning unit to be processed. This involves removing the seeds from the cotton boll (the fluffy white bit) using a machine, with any fly-away seeds being sorted by hand with a large sieve. The cotton fibre is then compressed into blocks, which are graded based on quality. The best fibre is used for fine fabric and the lowest quality for stuffing mattresses. The separated seeds go on to be used for other purposes such as oil or cattle feed. Nothing is wasted. 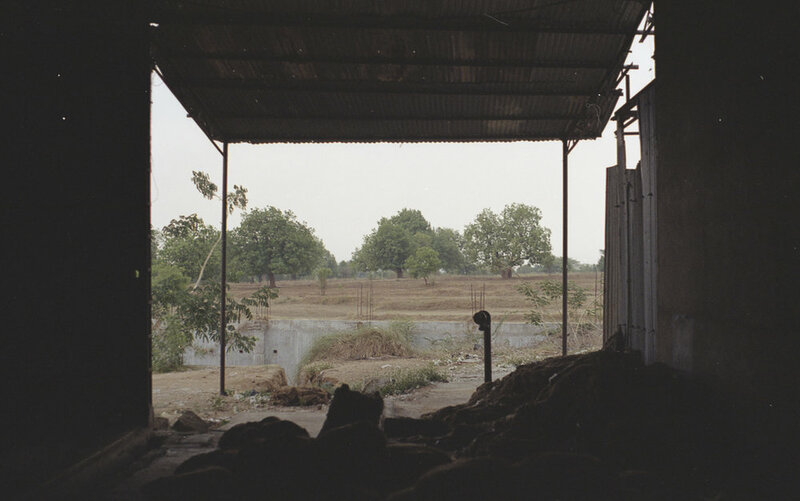 The ginning unit we visited was in Titilagarh. While we were visiting, there was a short, sudden drop in temperature and we found ourselves in the eye of a dramatic thunder storm. We heard cheers from afar for the arrival of rain and were relieved to be told that there was an exceptionally large lightning mast nearby - preventing us all from being struck by lightning.